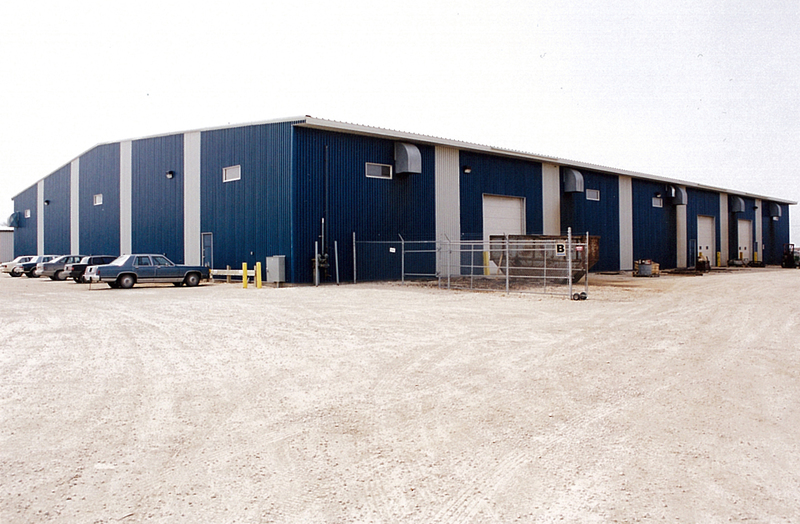 Many projects built over a period of years for Canadian Anglo totals 56,620 sq.ft. This manufacturer of processed tankage, pressure vessels, storage tanks, metal fabricated basic conveyors, utility trailers, production fabrication, production machining and custom fabrication, needed large facilities built for its heavy-duty productions. This basic square structure has been given a nice aesthetic by using dark blue cladding and vertical white striping.